The farmers markets are in full swing bursting with incredible fruits and veggies. This makes eating locally sourced meals even easier. No excuses. It's also a good time to consider saving some of these summer flavors by freezing or canning or whatever - just save it. You'll be thankful come the dark days of winter. In a small frying pan I heated four tablespoons or so of olive oil. Then I thinly sliced three shallots and add them to the hot olive oil. I let them fry away, only mixing around occasionally. When the shallots were golden and crispy I pulled them out and let them drain on a paper-towel lined plate. 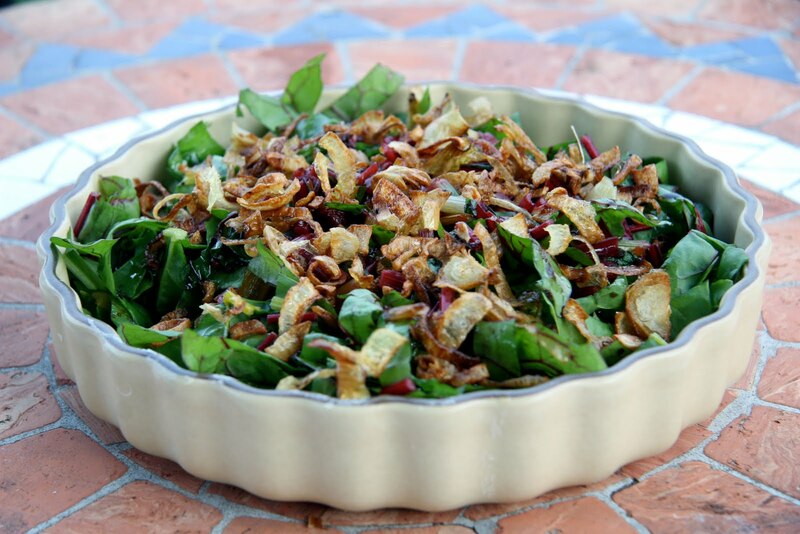 I sliced a large bunch of swiss chard into thin ribbons and piled it into a shallow serving dish. Then I poured on the dressing, which (I know, I know) was so not local, but it's my go-to for dark leafy greens. A couple tablespoons of balsamic vinegar, a couple tablespoons of olive oil, a tablespoon of honey, pinch of salt and a pinch of pepper. Even though it was only lunch, we were after all on "staycation" so I thought it only appropriate to indulge in a little mid-day sweet. 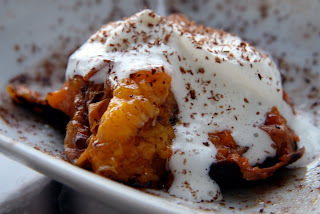 I quickly cut two apricots in half, grilled them until crazy soft and topped them with a few spoonfuls of homemade whipped cream and a dusting of organic, fair trade chocolate. This weekend we were up at the Litchfield Hills Farm Fresh Market to shoot a special "farmer's market" episode of The Natural Princess. While we talked with vendors and enjoyed a beautiful (and hot) Saturday I also did a little shopping. Before I knew it. I had everything I needed and then some for a great cook on the grill dinner. I even made an appetizer! 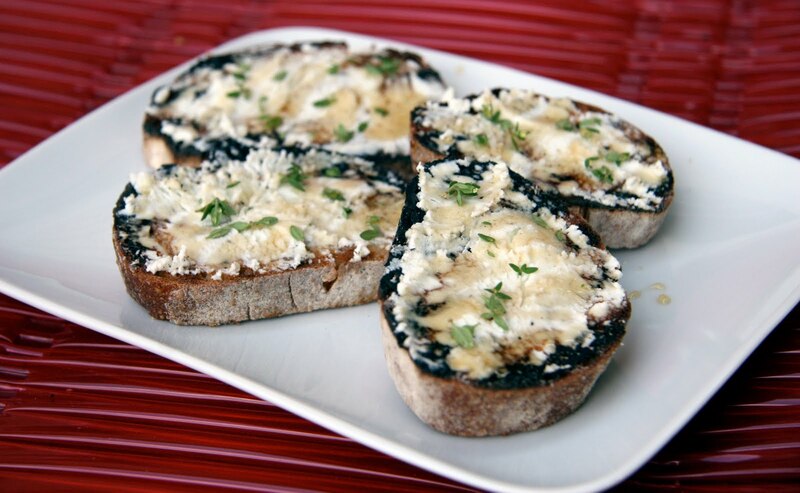 I took four slices of bread, brushed them with a little olive oil and toasted them up on the grill. Then, I spread on some goat cheese, sprinkled on little fresh thyme and drizzled on a touch of honey. 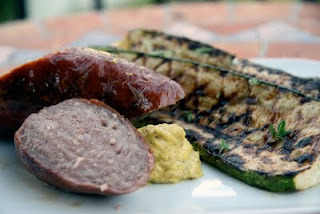 For dinner it was simply grilled kielbasa and zucchini. I did to the zucchini was slice it and brush the slices with olive oil before popping them on the grill along side the kielbasa. When they were lightly charred and tender I took them off the grill and added some fresh thyme leaves, a pinch of salt and a touch more olive oil. The kielbasa was killer by the way, nice snappy casing and really flavorful. In this bounty of summer, what are some of your favorite meals?